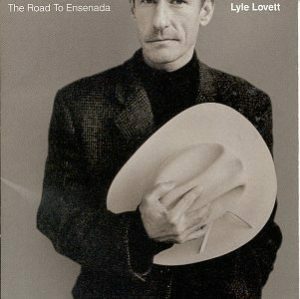 Nobody knew it at the time, but The Road to Ensenada marked the end of the first phase of Lyle Lovett’s career. He’d put out six albums of original material in a decade, but after that, it seemed like the well kinda dried up, as he followed it with a covers album, a live album, a movie soundtrack, and two compilations before putting out another record of new material in 2003. Does anybody remember the Sony Car Discman? It was basically a version of their regular Discman, but it had two key differences: first off, it had technology that (mostly) kept CDs from skipping because of the random stops, starts, bumps and swerves that were an inevitable result from driving, and secondly, it had technology that allowed you to play your CDs through your car’s speaker. Now, I know what you’re thinking. That there was a 3.5MM adapter cable that you’d plug into the AUX input, just like you do with your iPods and iPhones. But you’d be wrong, dead wrong. A nearly five-minute look at the despair of inevitability, “She’s Already Made Up Her Mind” could come across as a dirge, just too damn sad for words, but instead, it kinda reminds me of something from Big Star’s Third. 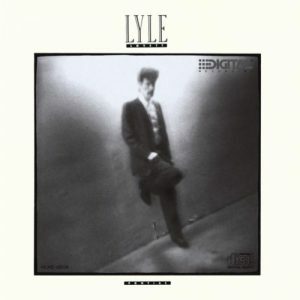 At first, it’s just Lyle telling his story to bass guitar, with a dab of piano here, a tinkle of a cymbal there, maybe an acoustic guitar strum, all of which just contribute to the dark mood he’s creating. The one thing about the Catholic services that I went to before I had a choice was that they were like a well-oiled machine: we were in and out in about a hour, every single time. So I can’t fully relate to the dilemma that Lyle Lovett describes in the weird, hilarious honky-tonk gospel song “Church,” but most certainly can appreciate it: a long-winded preacher is essentially holding his entire congregation hostage, with predictable results. 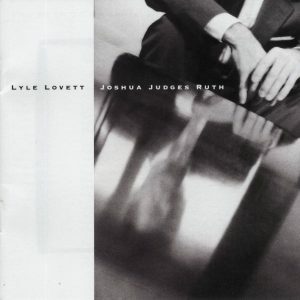 On the short list of Prettiest Songs Ever Recorded, Murder Ballad Division, “L.A. County” is an absolutely towering masterwork, and — I’ve come to realize — the best song that Lyle Lovett ever wrote. That’s a whole lot to unpack, of course, so let’s just start with the chorus, which rings in my head anytime I’m driving into Los Angeles on a cold clear night.